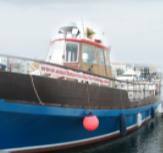 We are still getting good cod fishing as the spring run of cod continues. 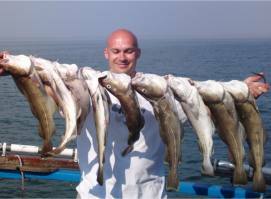 Today we had nearly 40 cod with one good Polish Angler capturing at least 10 up to 6 pounds each. We are still getting a few plaice and a good haul of makerel. 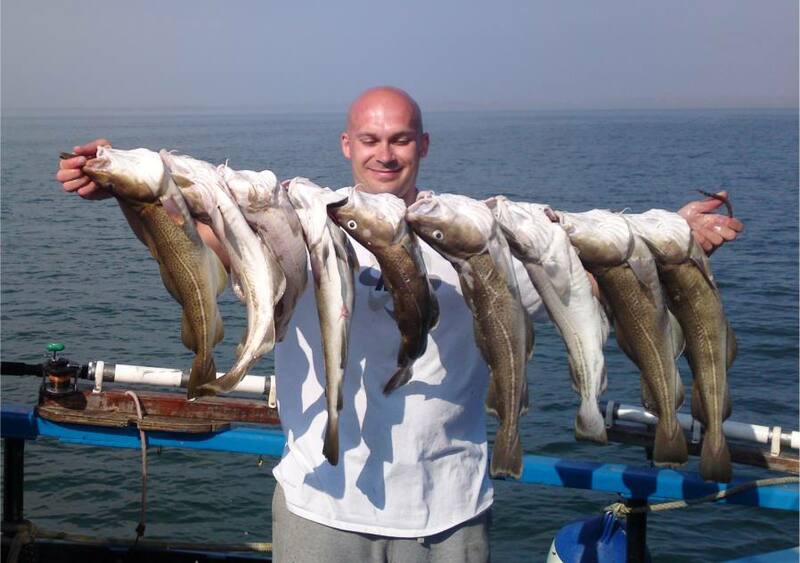 Lucas proudly displays just some of his cod all caught on blue shads.